What does it take to be a Boeing pilot? A dream and persistence. Brian Crane worked as a pilot for most of his working life. But his dreams seemed a long way off when he walked barefoot to school in country New South Wales, Australia. Brian’s biography takes the reader on a look behind the scenes of the aviation industry – the rigorous testing, the industrial manoeuvres and the persistence and hard work that take a boy from wooden model aeroplanes to the pinnacle of his career as a Boeing pilot for TAA. A book for all lovers of aviation covering the Gypsy Moths of the ‘30s, the Tiger Moths and DC3s of the ‘40s, the Ansons and Oxfords of the ‘50s, the Viscounts of the ‘60s and onto the DC9s, and the Boeing 727s. 5.0 out of 5 starsGreat easy read. Great book, easy and enjoyable to read. 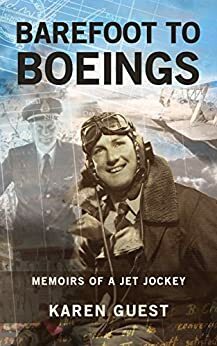 Happily recommend for all readers of aviation history. Well written, interesting, easy read. Highly recommend it. Excellent story! Keeping writing Karen I want to read more!! !